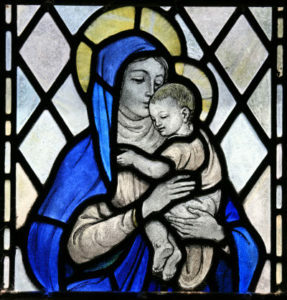 Read full description for the background of the tradition of Our Lady of Smiles and her connection with St. Therese of Lisieux. 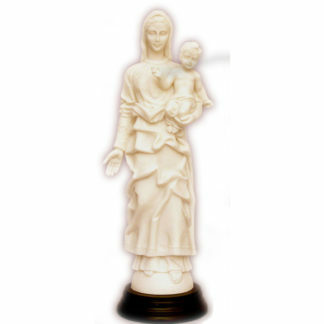 This superior quality statue of Our Lady of the Smile from Italy is made of white alabaster that rests on a marble base. It is a copy of a statue that was originally created by world-famous sculptor, A. Santini. 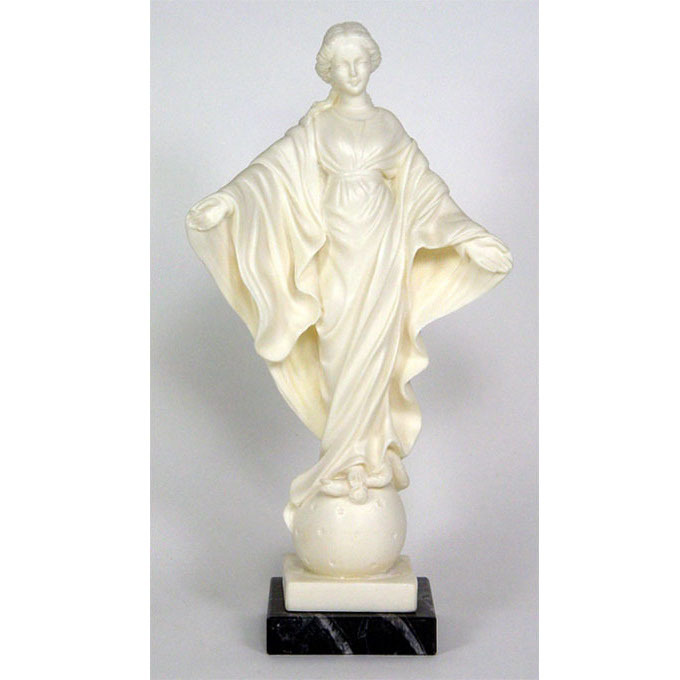 Statue with base as pictured measures approximately 10″ tall. Due to the natural variations of the material used, statue may arrive in a lighter shade of white than statue pictured here. In any case, statue will be of a superior quality and it will be beautiful! When Saint Therese of Lisieux, the Little Flower, was very young, her mother died and Therese became very ill. 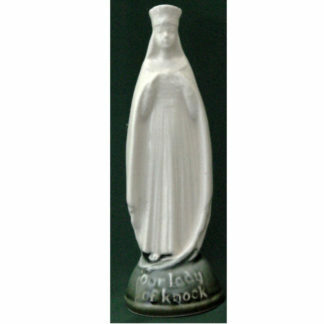 In her room was a statue of Mary that was similar to the statue shown here. As the family was praying at her bedside, Therese had the experience of the statue coming to life and smiling at her and she was instantly healed. Since then, this statue of the Blessed Virgin Mary has been known as “Our Lady (Virgin) of the Smile”. This beautiful statue of the Blessed Mother is a source of solace and peace for many, especially those who are sick or infirmed. Catholic women of all ages are drawn to it because of its graceful, peaceful and comforting demeanor and because of their devotion to St. Therese of Lisieux. 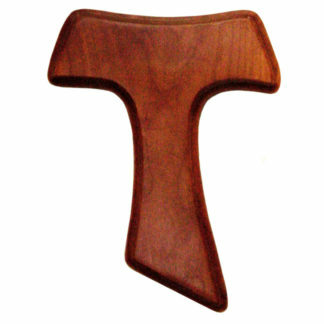 It makes a lovely Confirmation gift.